Imagine huge expanses of unspoilt wetlands inhabited by an exotic array of birds and wildlife. Imagine retiring to bed under a star-filled sky after enjoying a sunset braai. Imagine waking up to a misty sunrise. 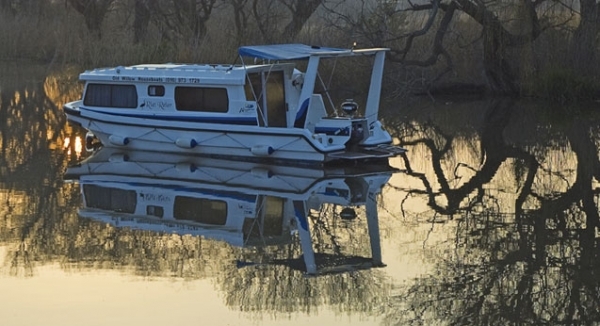 Imagine no more… With the sounds of waves gently lapping against your boat and croaking frogs as your only company, Old Willow No.7 Houseboat Charters on the Vaal River offers the perfect escape from the frantic concrete jungle of Johannesburg. 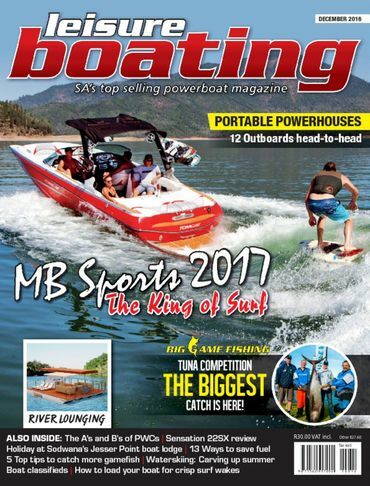 Leisure Boating traveled to South Africa’s ‘Place of Gold’ and had the experience of a lifetime on houseboats along the Vaal River. When owner of Old Willow No.7 Houseboat Charters’ Dave Gardener offered to accommodate us, it couldn’t have been better timed. After an exhausting weekend on our feet at the National Boat Show, we were longing for a couple of days of relaxation and gratefully accepted his invite. Old Willow No.7 is situated on the banks of the Vaal River near the Gauteng and Free State border. To get there, simply take the N1 freeway South from JHB and turn left at the Vanderbijlpark / Sasolberg sign. The road becomes slightly trickier from there, but Old Willow No.7 gladly assisted us with directions. And if you own a GPS, the coordinates 26° 46’ 39.85”S and 27° 46’ 09.13”E will lead you straight to their doorstep. Fortunately for us, our mode of transport, the trusty Toyota RAV4 2.2 Turbo-Diesel VX made the journey a lot more comfortable. The road between Cape Town and Johannesburg is quite a distance (1 430 km approx.) and a vehicle with superb fuel-consumption, luxurious creature comforts and good road control is always refreshing. Our sister publication, SA4x4, can be extremely proud of our fuel-efficient trip with the RAV4. Maintaining the average speed limit of 120 km/h at 2 200 rpm, as well as being loaded to the brim, she consumed only 6.1-litres per 100 km. Upon arrival, we met up with Dave, shook some hands and admired his fleet of houseboats moored along the Willow-lined banks of the Vaal River. While we waited, Dave’s friendly staff prepared our two crafts, Coot and Riet Reier, aptly named after the birdlife which inhabits the area. Our crafts were stocked with everything we could ever need on such a trip. Dave supplied us with mouth-watering meal hampers, wine, charcoal for our braai, 50-litres of fuel and even a couple of fishing rods and tackle, to make our experience as memorable as possible. 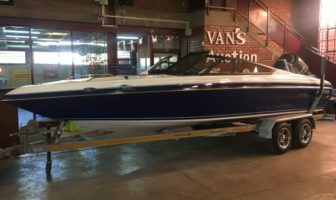 While we anxiously waited to board our crafts, Dave explained that Old Willow No.7 Houseboat Charters are exclusively approved commercial operators of the new LeisureLiner houseboats made by Knysna Leisure Craft. 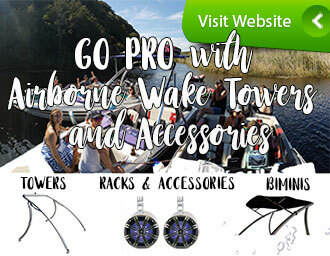 “We also have a strong affiliation with Lightley’s Holiday Houseboats on the Knysna Lagoon, which means that we can draw on years of valuable houseboat charter experience,” said Dave. 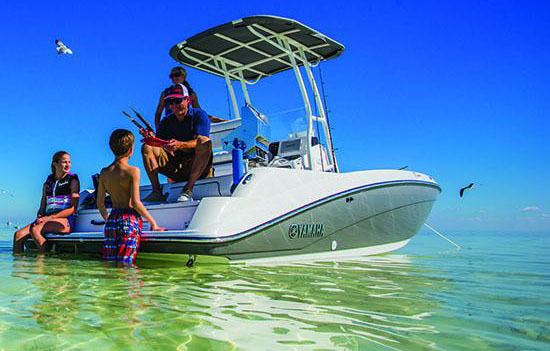 Some say a weekend on the water is worth two on the land. I’d be keen to agree as I was overwhelmed by a sense of freedom while setting foot on these comfortable houseboats. With the wild river banks of the Vaal beckoning, our excitement grew. Waiting for Dave’s capable assistant, Cindy, to conclude the briefing of the houseboat’s safety procedures, I was beginning to anticipate the prospect of captaining my own craft. Equipped with a quick course in river safety and our sense of adventure, we set off to explore only a small length of the vast 55km of Vaal River stretching out in front of us. With one turn of the key, our puttering, yet reliable 40 HP Yamaha motor started rumbling and we commenced our exploration. Because Old Willow prohibits travel after sunset and it was now late in the afternoon, we chose the nearest anchor spot – one of many found along the banks of the river, to settle ourselves before nightfall. It quickly became apparent that these houseboats are leisure liners, not racing boats! Travelling at a GPS top speed of 13km/h, it took us nearly 20 minutes to reach our spot – just three kilometres away. But that’s the whole point of a houseboat experience. There is no rush to get anywhere – and aren’t you supposed to take it slow and easy on holiday anyway? Travelling at a calm but steady pace makes it a lot easier to enjoy the picturesque surroundings of the untamed Vaal River. You’ll find yourself grabbing the binoculars at every opportunity. On the Vaal, it’s easy to spot a gaggle of Egyptian Geese flapping their wings, a Riet Reier sitting calmly on a tree branch or a Cape Clawless Otter doing a spot of fishing for supper. Cruising along, we passed the renowned ‘Millionaires Bend’ and it’s obvious why it is so named. Luxurious mansions are scattered along the banks, some magnificent, some a tad ugly, but all very expensive. The Vaal is clearly a playground for South Africa’s rich and famous. And, while some may spend a fortune on homes like this, we had everything we needed on board and could take it with us wherever we went along the river. If idling along doesn’t grab you, there are plenty of activities along the banks. 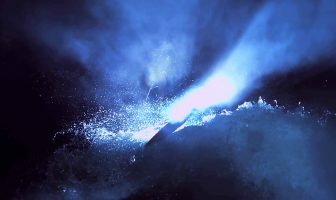 You could go waterskiing, wakeboarding or tubing at Watersports Unlimited at Riverside Sun. And for the kids, there are various attractions, including a water park, animal park, mini-golf and a climbing wall at the Emerald Casino Resort. For refreshments or a bite to eat, various restaurants and pubs dot the river’s edge. Restaurants like Fish Eagle, Waterfront Country Lodge, The River Palace, Stonehaven-On-Vaal and the Pumphouse proved to be a perfect pit stop on dry land for a drink, meal or change of scenery. During winter there aren’t many other boats on the water and you’ll feel you have the river all to yourself. However, according to Dave, “the summer holiday buzz is something to look forward to, both on the water and in the vibey restaurants along the banks”. As nightfall approached, we swung our boats into a little cove near the Stonehaven-on-Vaal resort. Thanks to satellite maps provided by Old Willow, we easily found our creek (dubbed Dawson’s Creek by our editor as its proper name kept eluding his memory). We found the creek off the main river, with reed banks and trees sheltering it from the wind. The river’s wildlife inhabitants – birds, frogs and fish – all seemed to provide a welcoming tune. So we anchored our boats, tied them together and dropped our rods into the water, knowing that we’d found a gem of a mooring spot. As the rays of the sun slowly started to set on the horizon, boaters who’d been enjoying sundowners on a ferry and a few jetskiers powered up their engines to get home before dark. As they left, things became blissfully quiet. Everything we needed for the next 24 hours was on board and we looked forward to a peaceful night on the houseboat. We cast our lines in the hope of pulling a few carp or maybe even a barbell or yellowfish, but to no avail. We were told the Vaal is home to plenty of fish and this was evident in the way they jumped all around us. But either our lack of patience, incorrect bait or the fact that the fish were a tad cleverer than us meant we did not pull even one from the water. Nonetheless, nothing beats relaxing on the outside deck of the houseboat. While sipping on a glass of wine (or O. B.’s for the cold!) you watch as the Weber’s charcoal braai slightly illuminates your surroundings. We had brought an acoustic guitar along to play tender melodies and slowly unwind while listening to the soft sounds of other passengers plucking away at the six-stringer. We couldn’t help but reminisce about the good old days as songs from Dire Straits, The Eagles and Credence Clearwater Revival strummed from the guitar. And in no time, our steaks, (provided to us by Old Willow) were on the coals and cooked to perfection. We soon felt the chill of the mid-winter’s evening creeping in, but remained outside and basked in the tranquillity of our surroundings. The gentle strains of Pretty Belinda (“She lived in a boat house, down by the river, everyone called her pretty Belinda”) wafted across the water again and the song was certainly apt for the occasion. And for a few moments, I couldn’t help but feel I was a million miles from anywhere. After a comfortable sleep, we drew open the curtains and gawked at the mist rising like steam from the dark Vaal River. When it began swirling around the boat, it created an eerie scene, but a distant cry from a Hadeda broke the silence and life on the Vaal came back to life. When it was time to depart the serenity of our floating home, breathtaking scenes of morning rays penetrating the mist and reflecting off the glass-like water were firmly in my memory. They make me long for another weekend of total tranquillity on Old Willow No.7’s Houseboats. Big thanks to Dave Gardener and Lightley’s Holiday Houseboats’ owner Owen Groenestein for making our trip to the Vaal River a truly wonderful and memorable experience. For more information and queries on Old Willow No.7 Houseboat Charters, please contact Dave or Laura Gardener on (016) 973 1729 or 083 391 4884. Alternatively, drop him an email on info@oldwillow.co.za for a delightful houseboat experience you’ll never be able to forget. Old Willow No.7 has a large fleet of comfortable and spacious 26-ft, four-berth boats. There is a bedroom, a lounge and kitchen with stove, fridge and every kitchen utensil you’d need if you were in an episode of ‘In the kitchen with Nigella’. The dining table and chairs convert into an extra double bed and a neat bathroom area features a chemical toilet and hand-held shower option. These houseboats are extremely social as you can braai on the lower deck or sunbathe from the rooftop (chairs and umbrella provided). 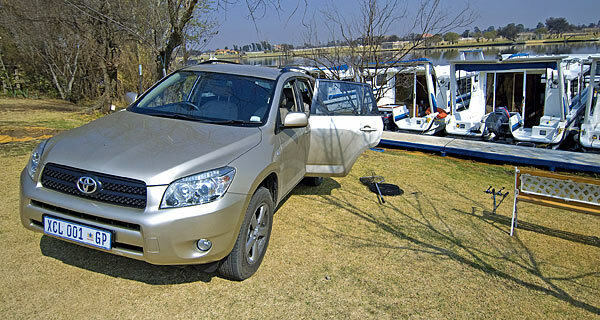 A boat for two people, per night will cost from R695 (mid-week) and R995 per night on weekends. An additional charge of R150 is applicable per person if you have more than two people on board. This basically covers the cost of the extra meals. A big thanks to Captain Charles and his crew for keeping our houseboats in tip top condition. Inexpensive Old Willow houseboats and a fuel-efficient Toyota RAV 4 made this holiday one of the most affordable of its kind. 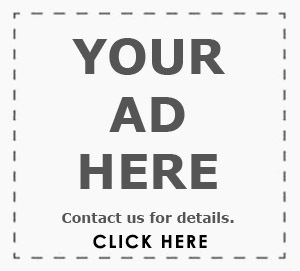 for the tour please use the contact form below.